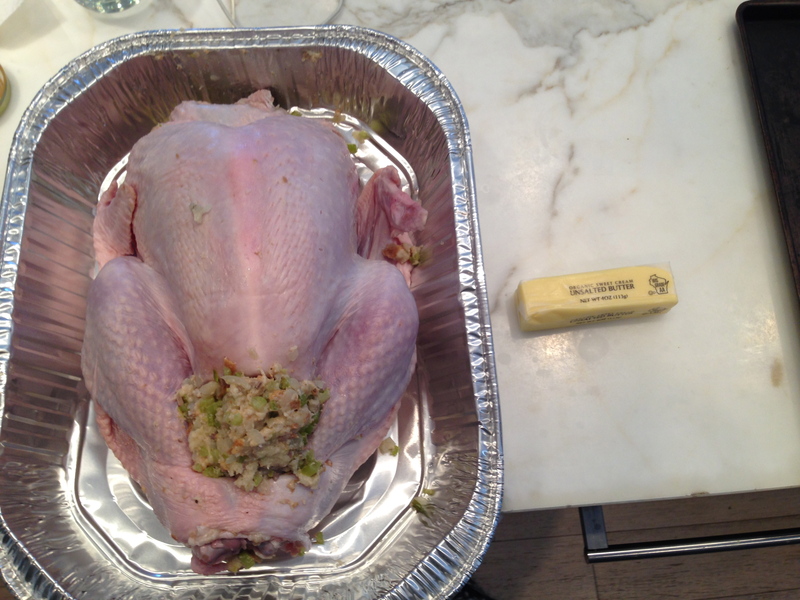 The Turkey-Off…or is being broad breasted worth it? This is where is gets complicated…I researched for weeks looking for an authentic heritage breed turkey farm that delivered to the DC area. 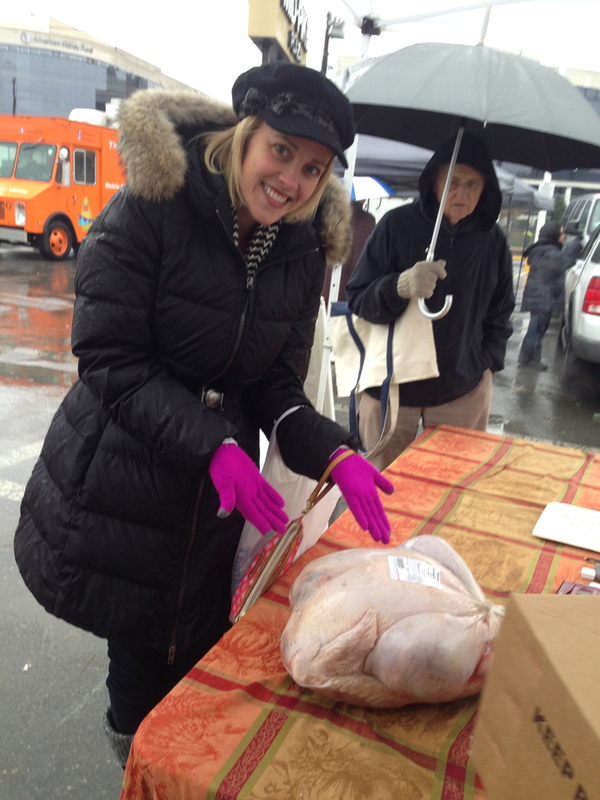 I found a farm in Maryland that was taking orders for Narragansett turkeys and would deliver to Bethesda the Tuesday before Thanksgiving. 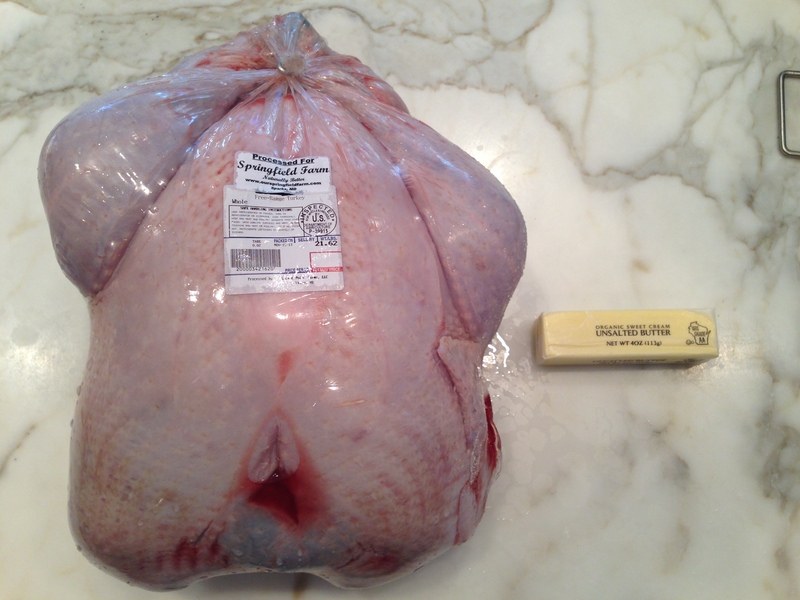 I ordered a 13 pound bird online and agreed to pay the hefty $9 a pound. Securing the bird (or so I thought) I began to research cooking methods. Initially, my intention was to cook them exactly the same (same seasonings, same temperature, same container, etc.) but I soon realized that broad breasted birds and heritage birds need to be cooks differently to bring out the best in each. It was decided that we would cook each bird in its ideal style and then compare. Tuesday comes and I cross state lines in pouring (freezing) rain and arrive at the outdoor farmers market. I’m told that the birds were larger than expected this year and all they have left is a 21 pounder. I take it and pay $150. Right before leaving the market, I asked in passing about the name of the breed. That is when I was told that my bird was a cross between a broad breasted bird and another breed I can’t remember. I can’t remember because when I heard the words “broad breasted” my heart started to race, my stomach sank, and panic set it. (Yes, I realize how ridiculous this sounds but its true). Broad breasted anything was exactly what I was trying to avoid! I just paid $150 for a big boobed turkey and at this late date, had no other options. I asked the folks working the stand and was told that they only had a few heritage birds and they sold out early in the AM. Wasn’t that the whole point of pre-ordering online? All of our guests were blindly served a serving of each. The Butterball won 6 to 3. However, I must note that the “foodies” in the group all voted for the heritage bird. 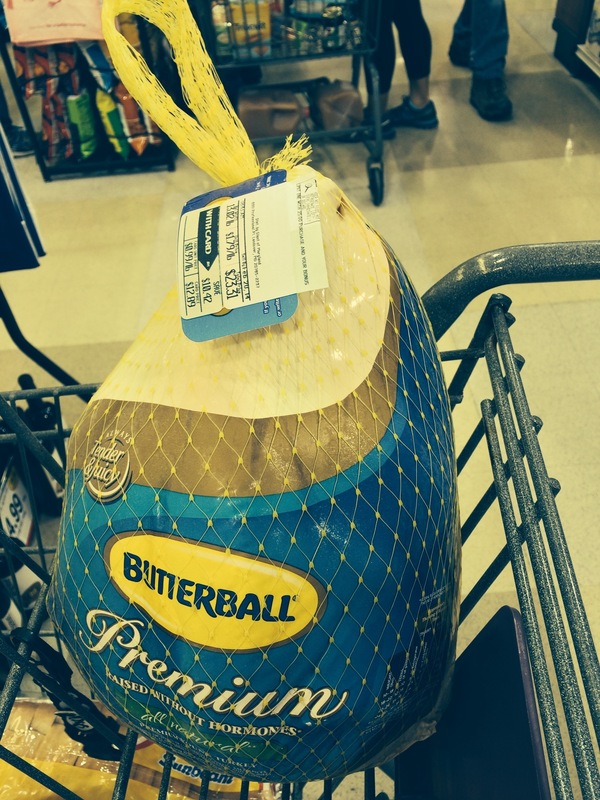 The children and “others” voted for the Butterball. In general, the heritage (cross-breed) was dry due to overcooking (blame it on the mimosas). Flavor was mild and pleasant. The Butterball was accidentally cooked at too high a temperature, but was more moist and one taster noted that it was more “gamey” as well. In the end, the experiment was a complete flop. At this point, I think I might just raise my own turkey for next year so I know exactly what it is. In the future, if I’m going to spend $150 on something that is broad breasted, maybe it should be a deposit on plastic surgery. Meet Night, our black silkie. She recently started laying small cream colored eggs. Watch what happens when farmer Seychelle catches Night in the nesting box. The poor little hen just wants a little privacy.